SPIRIT FLOWAGE HOME WITH 200&apos; OF LEVEL FRONTAGE! 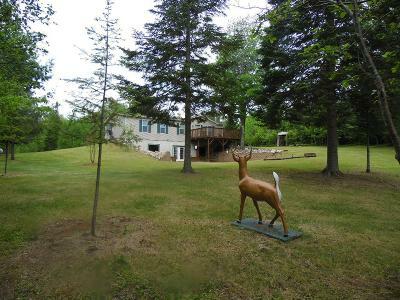 Private county setting on a 2.18 acre wooded lot, this 3 bedroom with a master suite and 2 baths offers a large open concept great room with fireplace, nice size kitchen and dining area with patio door. Main floor laundry and nice big deck overlooking private back yard. The home is situated on a 9&apos; poured wall basement with a double door walkout and two large windows facing the water, allows you to pull in 4 wheelers, paddle boats and toys when not in use.